With the upcoming Nike’s Adapt BB, How can Puma let its rival enjoy solely in the market? However, it is not the first time for Puma to reveal one of its types. Back in 2015, It tried a pair with a similar concept but wasn’t practical enough to enter the market. Another problem with Puma’s Autodisc was, it was too expensive. Finally, after three years of struggle, Puma makes a comeback with ‘The FI’. The new pair of Puma Self lacing shoe is made for training and everyday use. The Rival of Nike’s high-tech sneakers, it connects to an app which enables the laces to be tightened or loosen with the swipe of a finger. For now, It only works with an Apple iPhone or Apple Watch, but will soon be available on Android phones too. Further, it has blue LED lights which serve as an indicator when the motor is operating or when it’s charging. It even indicates the battery level as well. There is a pair of batteries which can be separated and even charged wirelessly. The high-tech sneakers can last up to 7 days with one tie full charge, The Company claims. The upcoming pair of smart shoe is likely to launch next year at the (almost) same price as Nike’s Adapt BB. 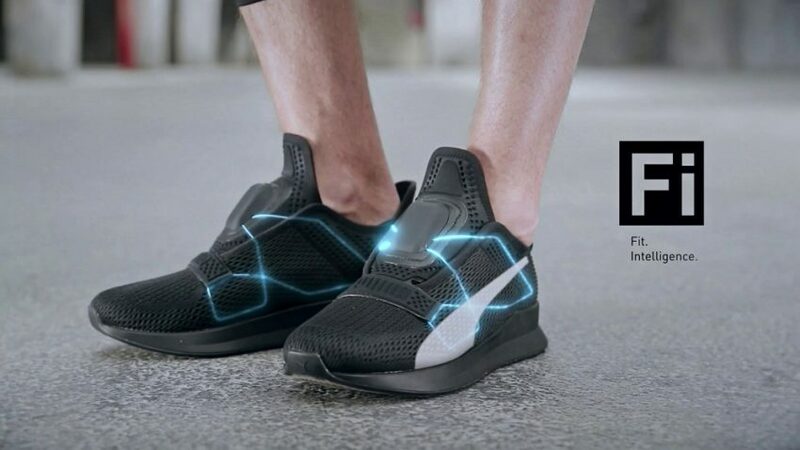 Puma Self lacing shoe comes at a price of $330, Rs24,000 to be precise. Whereas, Nike unveiled its pair of smart sneakers at a price of Rs 25,000 (approx). The shoes will be available in India or not, remains unclear. Till then you can stick to your regular pair, like me and spend a surplus amount on whatever you like. Previous articleNintendo Needs More Time To Release Mario Kart Mobile Game: Here’s Why?